I once heard a sermon on the first of Jesus’ miracles at the wedding of Cana. There were so many good points. One was how the servants were the actual witnesses of the miracle while the guests were the recipients. The guests did not necessarily know that anything supernatural had actually taken place. The major point was that this passage contained the best and most vital piece of advice or instruction in the whole of the Bible and it comes from the mouth of Mary. Whatever. That’s a scary word when you stop to think of the implications. What shouldn’t make it scary is when we consider the one who commands us. When Jesus is at the helm, there is no need to fear. We just need to adjust our mindset that we are NOT the one calling the shots in this life and that we have to devise the grand scheme for doing God’s work and subsequently changing the world. I’ve recently been challenged with the idea of saying “yes” right here in the middle of my mess. “Yes” to the need that is right in front of my eyes. “Yes” to that one thing that is the passion of my heart. Simply saying “yes” is all that is required. Now, what happens after that initial “yes” is entirely up to God, buy saying yes to each new step will lead you on an adventure that could’ve never been planned. 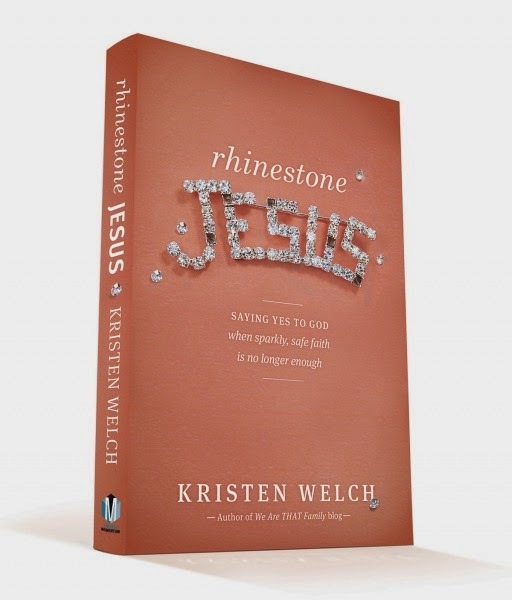 This is exactly what happened to Kristen Welch as she recounts her own “yeses” to God throughout her life in her new book “Rhinestone Jesus”. What began as a desire to “turn the world upside down for Jesus” at the age of 14 with a life emblazoned with a rhinestone Jesus pin, lead down a path of pain, disappointment, loss, and finally a death to her American Dream. It also led to a reclaimed passion for writing. This passion led her through the slums of Kenya to the heart of hopelessness where she found, of all things, utter joy and contentment – BECAUSE JESUS IS ENOUGH! Surrounded by all of my excess, bank statements, and insurance policies I have to ask myself if this is something I truly believe in my heart. I’m not talking about being irresponsible or foolish, but questioning where I fully put my trust and the alignment of my desires. Do I need to add some “no”s to my life to be able to more readily say “yes” right here in the middle of my mess. I want you to go on this journey with me. I want you to get your very own copy of Kristen’s new book “Rhinestone Jesus: Saying yes to God whensparkly, safe faith is no longer enough”. It officially releases today. Watch this trailer to hear more in her words. 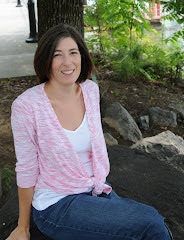 To get two of you started on the path to yes I am giving away copies. But that’s not all friends!! 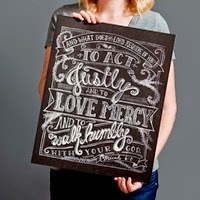 The first copy will come with a beautiful chalk art print by the lovely AnnieBarnett of Be Small Studios. (Don’t you just absolutely love Annie and her work????) The second copy will come with a set of five (in)Mercy postcards . These are both produced by the amazing folks at Dayspring and also featuring Annie’s work. These were all part of a fundraising campaign in which so many ordinary, everyday folks said “yes” to God. Today, those “yes”es are opening the door of a second Mercy House Kenya. Take a quick look and see how saying “YES” can turn the world upside down for Jesus! You are helping to continue the YES of Mercy House Kenya with your purchase of Rhinestone Jesus. Are you ready to say #yesinmymess ? Disclosure: I was provided a copy of Rhinestone Jesus to review and copies to giveaway by Tyndale, the publisher. As always, opinions and subsequent life change are entirely my own. This post contains affiliate links and I am grateful to you when you use them. Love your post, Amy!! Can't wait to read this book. The thing I need to say yes to is the women in my congregation, stepping out to get to know them and to serve them. Thanks for the encouragement to do so! What a great quote!! Love that! Helping ladies in my church to see that they are important! I want them to know that I value them and the encouragement that they have given me! 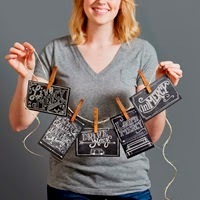 What a lovely and empowering gift to give to others! Oh my goodness - there are so many good books coming out right now! I guess I'll have to add this one to my list, too. It sounds great! Just saw the question prompt - whoops! I need to say "yes" to pursuing relationships with other women, and not always waiting for someone else to initiate friendship. At this exact moment? I am holding my snoozing 18 month old and soaking in every ounce of his sweet smell knowing that this is exactly where I'm supposed to be. These days of mothering little ones are messy, but they are good and I don't want to forget that THIS is my mission field. Well said!! Soak up every precious second! Hey Amy! My church community has changed shape a little bit and I KNOW God is asking me to step boldly into the next stage. Not easy, for sure! You go, girl!! Way to say "Yes"! We're saying a lot of "yes" right now, with the new move and no home, but maybe a build which means more moves and oh my goodness, instability! lol So yes, in a mess of packing and new jobs and new schools and new-new-new! Well, I'm tired of saying "Hmm...well, MAYBE, but...." so I guess it's time to say YES! I'm owning up to my mess and ready to say yes. Right now God is leading me into a "YES" that I have been unsure about for awhile - helping a friend through a difficult time in her marriage. Our marriage is strong so it feels hard to know what to say or do but I'm saying "yes" anyway and being there for her. I'd love to win a copy to give her!